NEW DELHI — India's space agency said it successfully launched more than 100 foreign nano satellites into orbit Wednesday aboard a single rocket. The Indian Space Research Organization said the nano satellites — those weighing less than 10 kilograms (22 pounds) — were sent into orbit from southern India. It said the launching of the 104 satellites was a record, overtaking Russia's feat of sending 37 satellites in a single launch in 2014. "All 104 satellites were successfully placed in orbit," the Press Trust of India news agency quoted ISRO Chairman A.S. Kiran Kumar as saying. They included an Indian Earth observation satellite and two small technology demonstration satellites. Prime Minister Narendra Modi tweeted that the "remarkable feat by ISRO is yet another proud moment for our space scientific community and the nation." 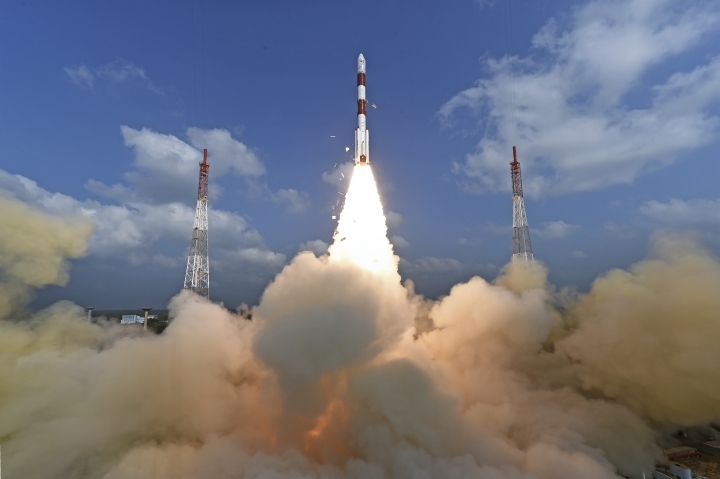 India has been striving to become a player in the multibillion-dollar space launch market, and has successfully placed light satellites into orbit in recent years. It hopes to eventually send astronauts into space.